We are very pleased to announce that Darienn Powers will join the Hiscock Legal Aid Society staff on Monday, November 6, as a Law Associate in our Foreclosure program. Darienn is a 2017 graduate of the Syracuse University College of Law. She has been serving as an intern at HLAS in our Immigration program. 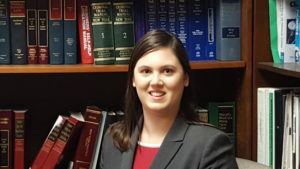 Darienn has previously worked as an intern for the United States Supreme Court Clerk’s office.